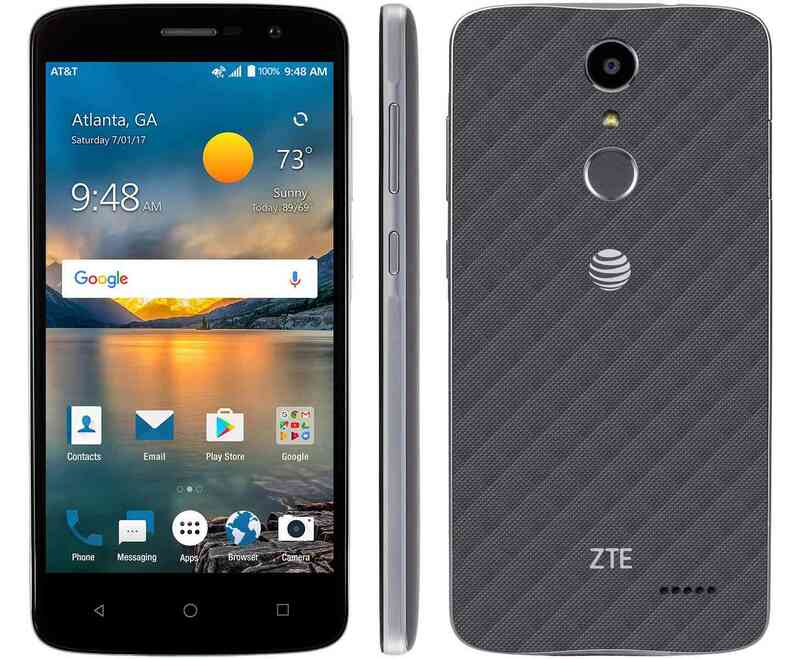 This week's Deal of the Week is the AT&T Prepaid ZTE Blade Spark 16 GB LTE Android phone for $59.99 at Best Buy. That's $10 less than the last time the Blade Spark was Deal of the Week. The ZTE Blade Spark, which lists for $99.99, runs the Android Nougat OS. It has a Snapdragon 425 SOC, 2 GB RAM, 16 GB internal memory, 5.5 inch Gorilla Glass 3 1290 x 720 px screen, fingerprint reader, non-removable 3140 mAh battery, and 13 MP main and 5 MP front facing cameras. Those are good specs for a sub-$100 phone. The Blade Spark is locked to AT&T, it will work on AT&T Prepaid or postpaid, Cricket or an AT&T MVNO without unlocking. Multiple Slickdeals members have reported successfully unlocking the phone using $1.50 eBay unlocking codes. There's support for the following bands: GSM 850/900/1800/1900; HSPA 850/1900/AWS/2100; LTE 2, 4, 5, 12, 30, 29. That means that the phone has excellent support for AT&T, If unlocked it has decent support for T-Mobile (it's missing T-Mobile's new bands 66 and 71 and VoLTE and Wi-Fi calling are unlikely to work on T-Mobile). It will work internationally, but only on 2G and 3G. Free Phones for Port-ins: Free Moto E4, LG X-Power, ZTE Max XL, Alcatel Dawn, Samsung Galaxy J3 Emerge, Samsung J7 Perx, LG Tribute HD, Kyocera Hydro Reach, LG K3, ZTE Warp 7 or ZTE Prestige 2 for customers who port a number to Boost from a non-Sprint based operator and activate it on the $50 plan. Unlocked Nextbit Robin 32 GB LTE Android phone (new) $127.00 Free shipping. Verizon (or Verizon MVNO) Samsung Galaxy S5 G900V LTE Android phone (new) $149.99 Free shipping. Updated 11/18: Price cuts and new items are in bold. Best Buy has the Nokia 3310 for $59.99. The link is in the Boost section of this post. The Sprint HTC bolt has proper at&t /T-Mobile LTE bands, if it's not already unlocked I think it only requires a code to unlock, anybody know anything about this phone? If you have no intend use it on Sprint or Sprint NVNO don’t buy the phone. Remote unlocks $10 eBay for Bolt. You need Windows to install software for unlock. Great phone for the money. Be aware of ZTE and Huawei those companies are supported by Chinese government. All data will be send to China. I've been using a ZTE tablet for 6 months, should I worry? And Apple cooperates with the mainland Chinese government's efforts to crush dissidents. I'm not worried about ZTE or Huawei. For one, virtually all personal electronics are made in China, even if your phone is from a US, Japanese or Korean company, it's probably from China. Secondly, I doubt that the Chinese government has much interest in spying on the average American. Unless you use your phone for government business or communicating trade secrets, Chinese spies have better things to do than track what you do online or who you call. HTC, LG, Samsung and Sony make phones outside China. I’d rather see my money go to Taiwan, S. Korea or Japan. Asus made in Taiwan. Sony some in Thailand. Samsung makes some in India and Vietnam. Apple makes some iPhones in India and Brazil. Yes, China is a clear and present danger to American citizens. Once their Mesopotamian troll farms detect someone looking at pro-canine propaganda, they'll send in a SWAT Team from the Chinese Bureau of Investigation to sieze your devices and put you on trial for thought crimes. Meanwhile, our own government would NEVER spy on its own citizens, violate the sanctity of someone's digital recreation, or break down your door at 5am while you're enjoying a cuddle with the missus. Only complete monsters would do any of those things, and our government has been nothing but completely honest, honorable and forthcoming ever since the JFK era. Just ask Kim.com and the kickass Torrent Guy, both of whom had nothing but shining praise for the American government after China shut down their fondu recipe storage and sharing services. The point is, you should always buy American phones that have backdoors for the American government because foreign governments are the most immediate threat to your freedom and safety. @Dennis 1:35 I feel the same way. They'd be bored out of their minds with my phone or info. Besides, aren't the ZTE phones we get in America made right in Texas? ZTE's US headquarters are in Richardson, Texas, but I can't find any evidence that they manufacture phones in the US. What's the difference in all the LTE data only FreedomPop Sims, I thought they were all data only? The phone SIM's free plan includes 200 minutes and 500 texts per month using the FreedomPop app. With the data only SIMs, the paid plans are less expensive for the same amount of data. "I'm not worried about ZTE or Huawei"
ZTE was caught doing business with North Korea and a major terrorist group, and they were fined for it. 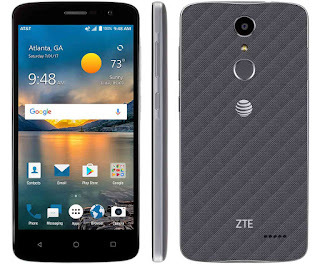 ZTE Blade Spark on AT&Ts' PREPAID phones page is now a new low "regular" price of $69.99. The Blade Spark has physical navigation buttons which is nice because it leaves more screen space for everything else. Will 'ZTE Blade Spark' work with RedPocket ATT service? Thanks. Yes it will work with red pocket at&t side. This deal of the week looks cool for use as a wifi device & keeping department store apps on to prevent clogging one's daily-driver. Yeah, these foreign governments would be bored with most things, except everyone's BANK ACCOUNT #S, 401K'S, CREDIT CARD #S.....Which, for most, are linked to the SAME e-mail accounts you all use on your phones.....that's NOT so boring to them.....they're just biding time until the right time. Too much $$ is currently still non-electronic for them to pull the trigger. Only fools would think society can last on a cashless basis, especially with our fragile power-grid. The "Unlocked T-Mobile LG G5 H830 32 GB LTE Android phone $199.98 (was $649.99) on Amazon" under the heading "Other outstanding prepaid deals this week include:" has a hacked ROM. Lots of problems, see poor reviews (24% of reviews are 1 star). I see what you mean. These 'unlocked' G5's are unlocked by flashing a modified ROM. As a result of the non-stock ROM, Android Pay and other apps that check SafetyNet don't work and the phone doesn't get OTA updates. You can fix most of these problems by flashing a stock ROM but that re-locks the phone and it's difficult to get it properly unlocked. These devices are not as advertised. I've removed their listings from the post. Thank's for pointing out the issue. I have read the specs on each phone and would appreciate some advice on a Boost phone from someone who has experience using these models. The most important criteria to me are strong RF, good voice quality, long battery life, fast interface speed and decent camera. My budget precludes a better phone. Your budget will afford plenty of Flagship phones from 2015, 2016. Check into those. I would much rather have a refurbished Galaxy Note, LG V20, S7 Edge, etc with WAAYYY better cameras than those you listed. The Amazon link to the Unlocked Motorola Moto G5 Plus 64 GB LTE Android phone $267.97 (reg $229.99) shows it as Currently unavailable.Plus you have regular price at 229.99 now at 267.97. MetroPCS is offering a year of Amazon Prime to unlimited plan customers.